Key Difference: Part time job is a form of employment that requires the employee work fewer hours per week than a full-time employee. Casual jobs are jobs that are done only sometimes. This could also be done on a contract basis or without a contract. It requires an employee being hired for a one time job, which may or may not be there the next time around. Jobs are a necessity for many people that belong to the lower or middle class. Part time jobs or casual jobs are types of jobs that exist, where a person does not require to be attached to one company and does not require spending a ‘proper’ working day. Jobs are considered to be a great way to earn extra money while studying in addition to learning responsibilities and acquiring experience. Though, part time and casual jobs often confuse people as both of them do not require working full time, these are two different kinds of jobs. 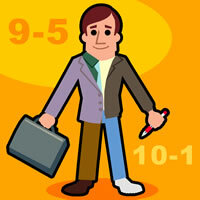 Part time job is a form of employment that requires the employee work fewer hours per week than a full-time employee. The number of hours required for a full-time job varies depending on the country and labor regulations. In many countries, part-time workers are hired hourly, while full-time workers are hired on a monthly-basis. Part-time jobs are often popular with students that can earn money as well as carry on their studies. Part-time jobs usually have flexible hours, which are allotted by the manager in ‘shifts’, each shift could consist of 4-5 hours at a time. Part-time employees are not offered the same benefits as a full-time employee, and still require a contract being signed between the employee and employer, where the details of the employment are mentioned clearly. This also includes the payment that the employee will acquire. Many people also take up multiple part-time jobs as this proves to have better pay compared to have one full-time job. Examples of part-time jobs include pizzerias, waitressing, promotions, etc. Casual jobs are something very different from part-time jobs. Casual jobs are jobs that are done only sometimes. This could also be done on a contract basis or without a contract. It requires an employee being hired for a one time job, which may or may not be there the next time around. 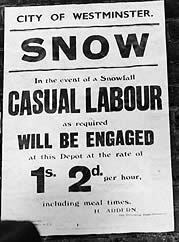 Casual jobs do not have a set timing, it does not require the employee to work set hours. In many casual jobs the employee gets to select the hours that he/she may be available, which is then approved by the management. Casual jobs do not offer any benefits and only provide the money that is put down on paper or is agreed on. Casual jobs pay more compared to part-time jobs and can have flexible hours. It allows the employee to earn extra cash without having to limit themselves on a set schedule. The wages could be provided on a per-hour basis or once the job is finished. Examples of casual jobs include carpenters, plumbers, free-lancing, etc. Part-time jobs require a person to set aside a certain each day, while casual employees get to decide their own timings. For students, part-time jobs offer more stability as well as a steady income, compared to casual jobs which depend if the person receives the contract or is hired. Casual jobs are also much harder to show in terms of experience, as it would require the employee acquiring a letter of recommendation or a copy of the contract from each job that has been performed.